Tyee Wine Cellars specializes in Estate Grown Pinot Noir, Pinot Gris, Chardonnay and Gewurztraminer. 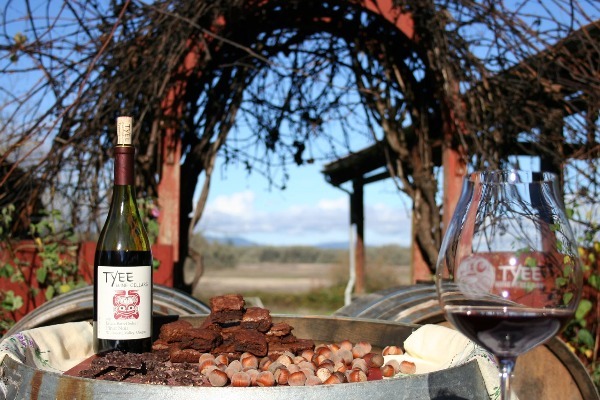 Visitors to Tyee Wine Cellars are welcome to enjoy wine tasting, picnicking on their century farm and vineyard in a variety of scenic locations, and hikes along Tyee's Beaver Pond Loop Nature Trail. Tyee Wine Cellars has an outdoor stage and a large undercover picnicking area. You can rent their facilities at Tyee Wine Cellars on the Buchanan Family Century Farm for wine related private events. Tyee Wine Cellars is open for tastings Friday through Sunday, from 12pm to 5pm, April through December, or by appointment.